Home / Stock Picks / Stocks to Sell / Will History Repeat for Lam Research Corporation Stock? Will History Repeat for Lam Research Corporation Stock? 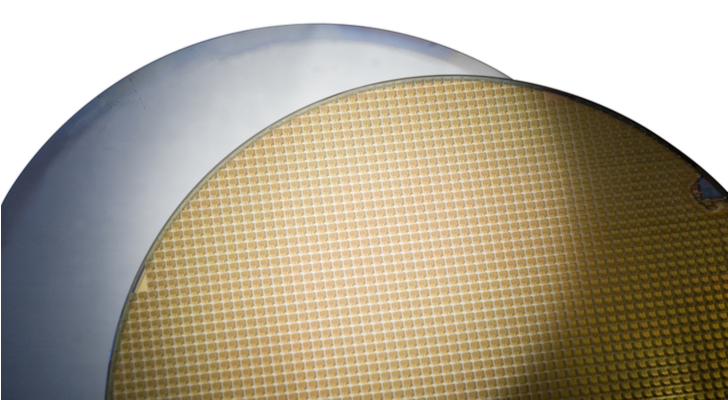 In a semiconductor space that has been a star performer for some time now, Lam Research Corporation (NASDAQ:LRCX) seems to fly a bit under the radar. But investors who haven’t caught onto the story here have missed out. The Lam Research stock price has risen 432% in the past five years, 177% in the last three, and 73% in the last year. Over the last 12 months, LRCX has been the 13th-best performing stock in the S&P 500. Historically, that type of performance for a semiconductor equipment maker would be a flashing danger sign. Semiconductors traditionally have been a cyclical sector. Equipment makers see that cyclicality amplified. In boom times, orders soar. Eventually, the market becomes oversupplied — and orders dry up. Lam Research’s exposure to the even more volatile memory space historically made it a very cyclical stock, as witnessed by the gyrations in the Lam Research stock price in the last decade. Even though LRCX doesn’t look particularly expensive at the moment, investors are betting that the industry will be different this time. And there is some reason to believe that will be the case. The problem for Lam Research is that even if that is the case, there easily could be better options out there. The overall perception of the semiconductor space appears to have changed quite a bit of late. With chip growth largely dependent on PCs, valuations for the sector after the dot-com bust stayed relatively muted. But the growth of flash storage, Internet of Things applications, and increased automotive content has raised hopes that the traditionally cyclical nature of the space may have changed. Nvidia Corporation (NASDAQ:NVDA), trading at 35x forward EPS after rising 963% in three years, is a perfect example of how sentiment has changed. Have Times Changed for Lam Research Stock? As far as Lam Research stock goes, analysts at Credit Suisse Group AG (ADR) (NYSE:CS) clearly expressed the argument that times have changed. The firm’s analysts wrote in February that “the common investor perception is that Semicaps (capital equipment makers like Lam Research) are highly cyclical with no growth.” That perception, according to Credit Suisse, is wrong, for a number of reasons. First, in a “post-Moore’s Law world,” more, and better, equipment will be needed more often. Second, there are more end-markets, beyond PCs and now-maturing smartphones. And third, market share has grown for Lam Research and other semicaps like Applied Materials, Inc. (NASDAQ:AMAT) and KLA-Tencor Corp (NASDAQ:KLAC), with whom Lam Research tried to merge back in 2016. It’s an intriguing case — and the huge increase in the LRCX stock price suggests many investors agree with Credit Suisse. The question is if that will be enough to drive even more upside in Lam Research stock. Is Lam Research Stock Price Too High? LRCX stock remains cheap enough that investors still are pricing in some amount of cyclicality going forward. Backing out roughly $17 per share in net cash, LRCX trades at a little over 12x fiscal year 2019 (ending June) analyst earnings per share estimates. That multiple shrunk to the single-digits as recently as February, as the stock dropped 25% in a matter of weeks amid the market sell-off. And while LRCX is cheap, given its exposure to NAND and DRAM memory prices, I’d argue a better play remains one of its largest customers. Micron Technology, Inc. (NASDAQ:MU) trades at less than 9x forward EPS. Its bull case is based on a similar secular argument: Memory prices aren’t going to be as volatile as they were in the past, given more diversified demand and wiser suppliers. For LRCX, there are two key concerns. The first is that volatility may be heightened in the near term, which raises the question of whether it’s wise to step in not far from all-time highs. The second is that out-year multiples may not expand all that much. Again, capital equipment manufacturer stocks like LRCX historically haven’t received huge EPS multiples. Lam itself, at its most recent Investor Day, projected $23-$25 in EPS in calendar year 2021. Assuming the midpoint of that guidance, and a 12x earnings multiple, LRCX would be worth $288. That’s roughly 9.5% annual return, plus almost 1% in dividends. Combined returns of 10%+ are attractive — but perhaps not convincingly, given the secular and trading risks involved at the moment. Investors buying LRCX now, at these prices, are betting on two specific outcomes. First, that Lam Research management’s forecast will prove correct. And second, that Credit Suisse’s broader argument is similarly correct. By 2021, investors will be convinced that semiconductor equipment isn’t the same cyclical business it’s always been, and pay more for stocks like LRCX. It’s possible both those outcomes will play out. But it’s far from guaranteed. I’d like to have more confidence, or a lower Lam Research stock price, to bet on them both. Article printed from InvestorPlace Media, https://investorplace.com/2018/03/history-repeat-lam-research-corporation-lrcx-stock/.